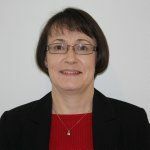 Margaret Byrne is Director of the Science and Conservation Division where she is active in the interface between science and policy in biodiversity conservation and management. Margaret has a strong interest in effective leadership and management and sees the integration of good people management and strategic business development as critical to the achievement of corporate goals. Margaret is recognised as a leading biological scientist in Australia and has over 170 publications. She obtained a PhD from The University of Western Australia and was a Post Doctoral Fellow at CSIRO in Canberra before returning to Perth to develop and manage a conservation genetics program in the then Department of Conservation and Land Management. Her research has focused on plant genetic research to inform conservation strategies for rare and threatened plants as well as biodiversity conservation at landscape scales in relation to remnant viability, revegetation and adaptation to climate change. Her phylogeographic studies have provided a greater understanding of the evolutionary history of the biota, and its influence on current distributions, patterns of genetic diversity and location of refugia. Her current research interests are directed towards application of genomics in plant conservation and climate change adaptation strategies.